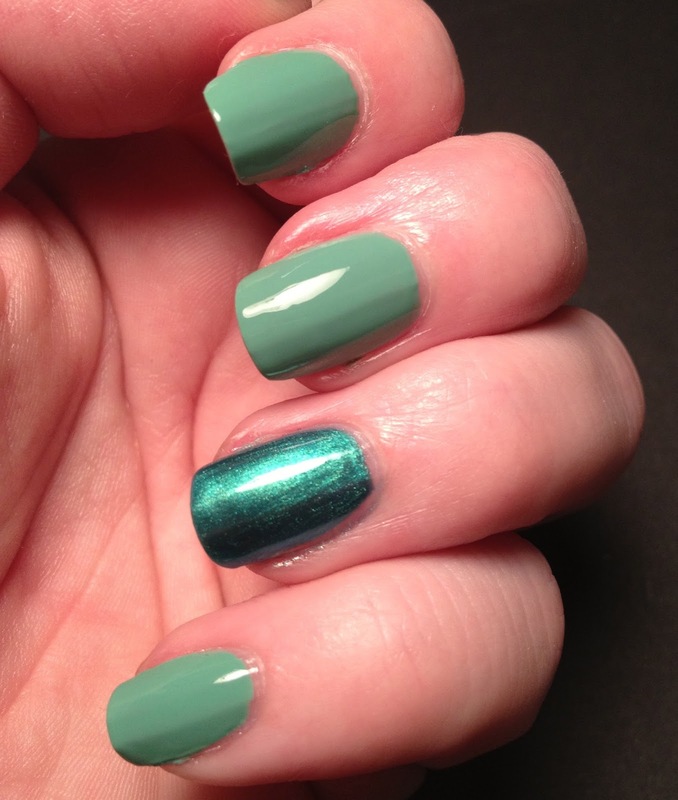 Today's mani features a duo of polishes that I had longed for for a long time and I finally got my hand on them. 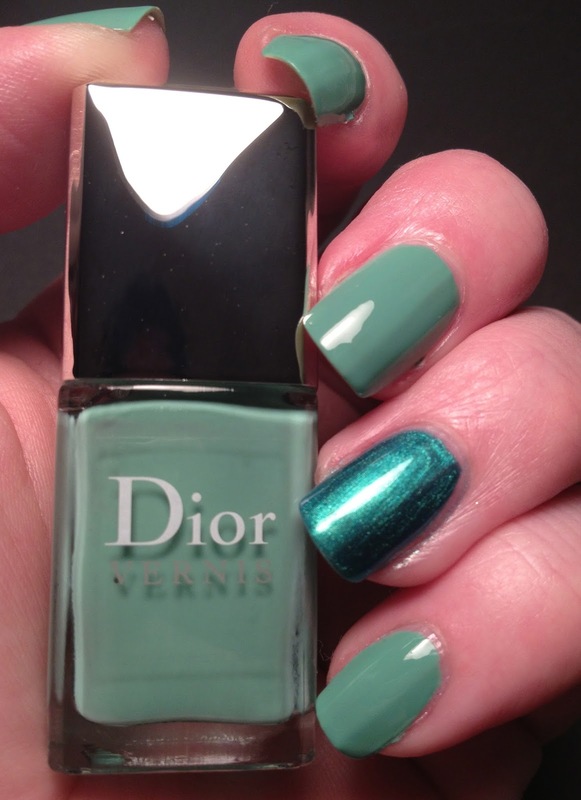 This is the Dior Bird of Paradise Duo in Samba. It is a set of two green polishes. One creme and one shimmery polish. Let me tell you how disappointed I was in these polishes. 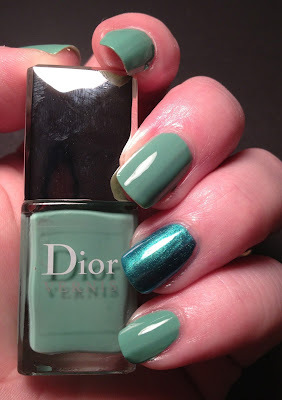 They were so SO pretty in the bottle, and on my nails. But after ONE day, that's right, ONE DAY, I had multiple chips. When I pay $29 for two small polishes I expect better than that. I have $1.99 Sinful Colors that wear better. At least I have the pretty bottles to look at. I will probably try these again at some point using a different base coat to see if that changes anything. I bought my set at Sephora and I am unsure where else you can find them now. What a gorgeous color but sad to hear that it chips so bad on the first day. I'm so surprised that it chips so easily :/ It's a shame because it's such a beautiful color!